Did you know that fewer than one in five British Muslims is employed and only 6% of Muslims are employed in a professional occupation? 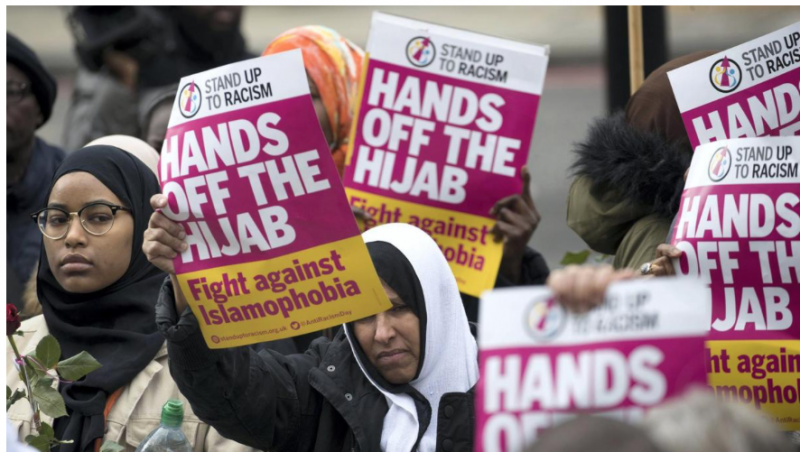 The Social Mobility Commission wants you to think it’s because of “racism” and “Islamophobia” for the failure of British Muslims to progress in the workplace, rather than low intelligence and lack of skills, not to mention complacency with welfare dependency and Muslim women’s reluctance to be employed outside the home. The SUN (h/t John H) Overall, 18.9% of Muslims aged between 16 and 74 are currently in full-time employment, according to the SMC. That is significantly less than the 34.9% figure for the adult population of the UK overall. Part of the reason for the low employment rate is that Muslim women are far more likely to be stay-at-home mothers who are not looking for work. 18% of adult Muslim women are recorded as “looking after home and family” – three times as many as in the population as a whole. The simple truth Islam and it’s adherents aren’t productive. Their whole societal model is based on endless conquest and forced servitude. As you say Muslims will seek endless accommodations (time off) to suit them but will refuse to adapt and reciprocate (serve alcohol). Honestly it’s not good business to hire them. Gondor, since you are over there, what’s the reaction to Brexit 2.0 being voted down? Now what happens to May? 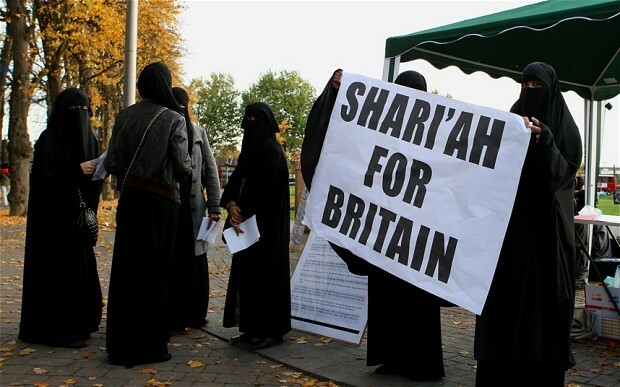 Muslims are promised FREE HOMES, MONEY and PERMANENT WELFARE when they enter Britain. Muslims are NOT required to work. Huge numbers of homes are built solely for HIGHLY FAVOURED Muslims who are treated like KINGS and QUEENS. Many Muslims have several wives. Each baby factory wife has her own home and has a lot of children. ALL supported on welfare by hardworking, stressed out taxpayers who struggle desperately to survive financially. In a UK Daily Mail article, one Muslim said he had so many children he couldn’t remember their names. Native Brits and other Europeans have complained bitterly that they can only afford to have one child or NO children whatsoever because their taxes are so high — supporting mega millions of Muslims who live on permanent welfare. One hardworking Englishman that I know has been made redundant/laid off in jobs several times. When he applied for unemployment money, he was REFUSED EVERY SINGLE TIME. 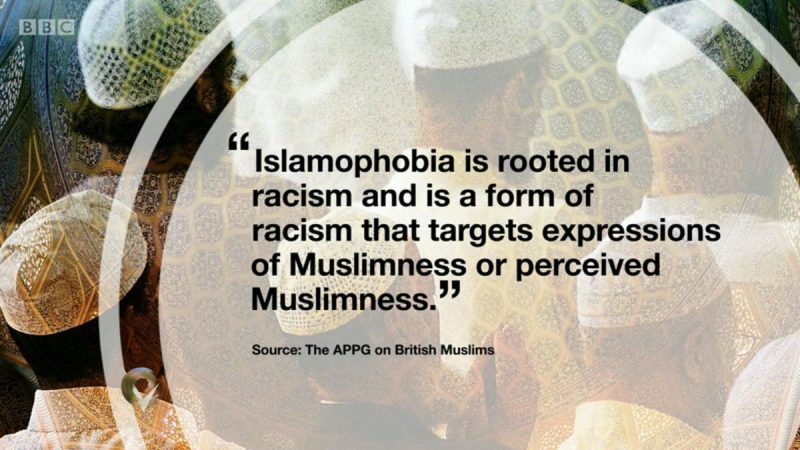 This is because UK authorities look on non-Muslim whites as TAXPAYER SLAVES for Muslims and ruling elites. A lot of young women with head-scarves work in McDs in the UK. But remember – they are not allowed to use anti-bacterial hand gel or wash their hands esp. after going to the toilet. Even at the best of times McD’s are revolting, add deliberate ignorance of hygiene and you have a health disaster. Also there’s an old woman with a head scarf at our local Greggs. She throws the change at you. Handles the food too. Yuck!! When I see a Muslim worker in a store, I leave. Allowing Muslims into your Western country is like assisting in your own conquest. They bring nothing of value, are far more intolerant and violent than members of other faiths, and believe themselves entitled to damn near anything they can think of. It was a terrible mistake…but it’s reached a point where it can only be halted, not reversed. When one brings up disturbing facts about Islam, one must also have a constitutional, non-violent solution. Otherwise we will naturally run into a brick wall. The US should institute, with exceptions for some individuals, a moratorium on immigration from nations that do not protect freedom of religion or freedom of speech. 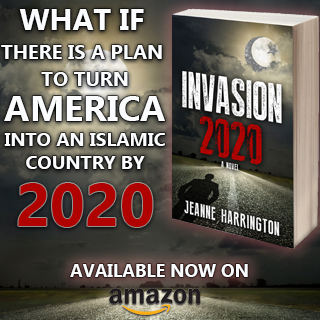 This would affect many nations besides the Muslim-majority ones, and it probably would not exclude every Muslim majority nation. China would tend to be excluded (but not Taiwan, Japan, or South Korea). 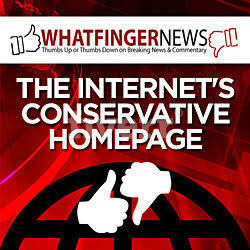 The policy would also pressure European nations to stop clamping down on freedom of speech. In response to such a policy, something like a First Amendment might come into being in some European nations. There could be exceptions to the rule, for example Ph.D.s needed by US industry or the military could be considered, as could people from oppressed minorities that support freedom of religion and speech. Is the above policy politically impossible? Right now, perhaps. But we must have a non-violent constitutional policy to meet the challenge we see. Otherwise defeat may be inevitable. Trump has already put a ban on immigration from 6 Muslim nations. Muslims feel superior to non-muzslums??? Ha! As I read online …if I wanted to kill myself, I would climb to muzslimes’ massive ego, then leap down to their stunted IQ. What a steep fall that would be, but, it’s called reality. Stupid, evil muzslimes. I think the governments of Europe thought these inferior Muslums would make good low class workers such as street cleaners & such. Actually, Muslums don’t want the low paying jobs, don’t qualify for the high paying jobs, just welfare squatters. Leftwing scum don’t understand that Muslims believe everything belongs to Allah. Everything the West has is theirs by right, and the West has stolen it from them. Muslims do as little as possible and rort the welfare system as an act of compensation and reparation for offenses committed against them. They are wretched, ungrateful cockroach pig shaggers who are intent on cultural and physical jihad. They have no redeeming attributes, and for each one that drowns in the Med I still crack a beer to send them on their way to the red-hot arse pokers Satan has waiting for the in Hell. This shows another problem with Muslims in a non muslim country. A large percentage of Muslims go on welfare and stay on welfare. 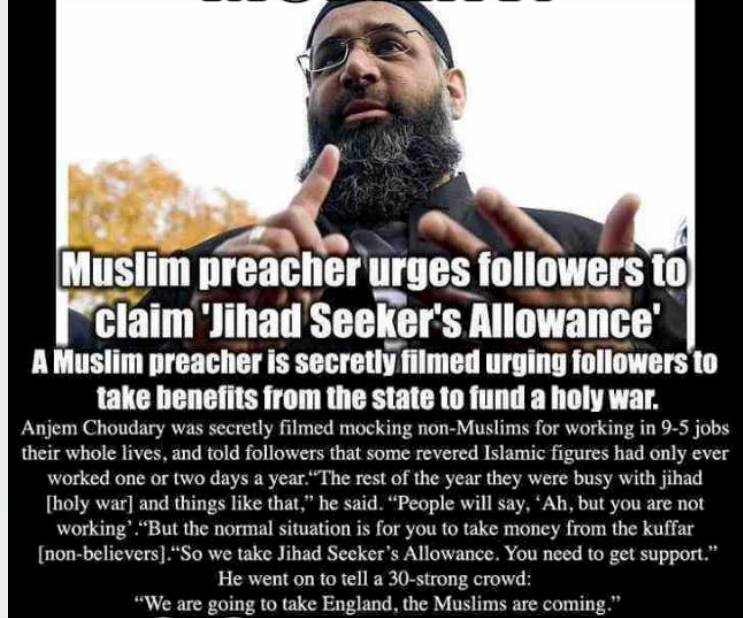 Also welfare is seen as a form of the Jizya tax on non muslims. A lot of Muslims believe that they are entitled to support from the non muslims. This is another way that Muslims fail to become contributing members of the country they live on. Also Islam does not have a work ethic like Christianity. 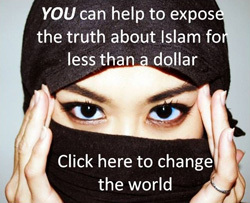 The Jihad system teaches Muslims to get their support by stealing money and possessions from non muslims. I’m always pleased to read posts that prove the writer has studied the Islamic ideology….and therefore understands the enemy. Well done David ! Stopping all benefits would certainly put some Yellow Vest UK activists out of action. I’ve been watching the livestreams and videos and find myself wondering whether one or two Yellow Vesters would look good in black balaclavas (Antifa/Black Bloc) or Guy Fawkes masks (Socialist Workers Party – Million Mask March). Chasing “pigs” through London and causing “chaos” is soooo patriotic. I remember the anti-Israel scum from January 2009. Furthermore, I wasn’t watching proceedings through a pair of binoculars. You do realise that in the UK, the police are part of the problem right? They’re the ones who turn a blind eye to British girls being raped by muslim gangs. Also the Yellow Vests have been infiltrated by Antifa/leftists. Any violence that is blamed on the Yellow Vests is caused by Antifa/leftists. I have my issues with some police officers and I have had intimidation from the Left. I’m sick of being told to BE THERE! or DO SOMETHING! by people who have voted for open-borders politicians and now realise it wasn’t such a good idea after all. However, I wouldn’t vote for the BNP if they were the last party on earth. Anyone making videos or posting comments calling for “violent revolution” should be prepared to get off their backsides and join in with the fighting. Only a complete moron would relish the prospect of violence on the streets. With regards to my original post, I’m not some deep state operative stirrings thing up from a distance. The Labour Party were still in power when I confronted anti-Israel protesters. I’m no expert but I’ve been “red-pilled” on immigration/Islam for a lot longer than eighteen bl**dy months. And I remember the thirteen years (1997 – 2010) when the Labour Party was in power. Blair, Brown, Mandelson and not forgetting spin doctor Alastair Campbell. THEY killed off freedom of speech. THEY were the ones who made it impossible to discuss immigration. Back then, when I confronted Hamas supporters, THEY would have thought I was a racist. Now THEY have a Hamas sympathiser leading their bl**dy party. I support our UK Yellow Vests 100%. They are caring, ethical, hardworking, patriotic and courageous. They are reviled, hated, LIED about and PERSECUTED because they want Britain to be FREE and SAFE. They also want Britain to leave the DICTATORSHIP of the EU.